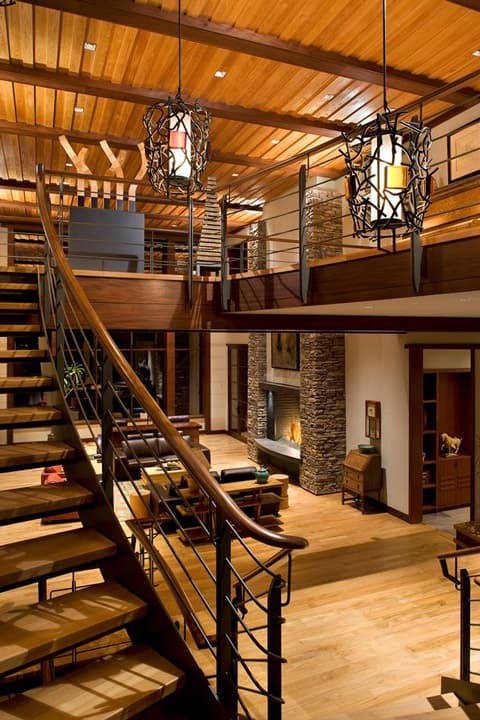 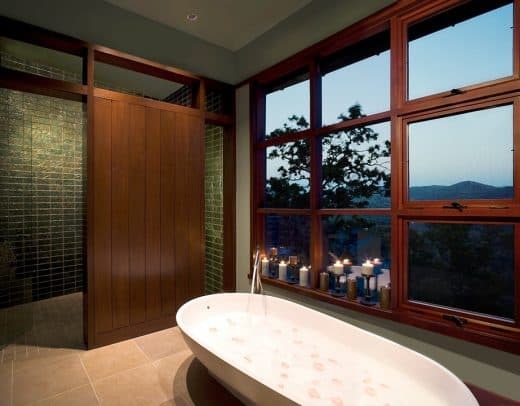 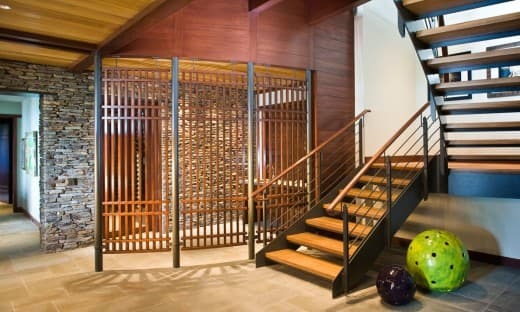 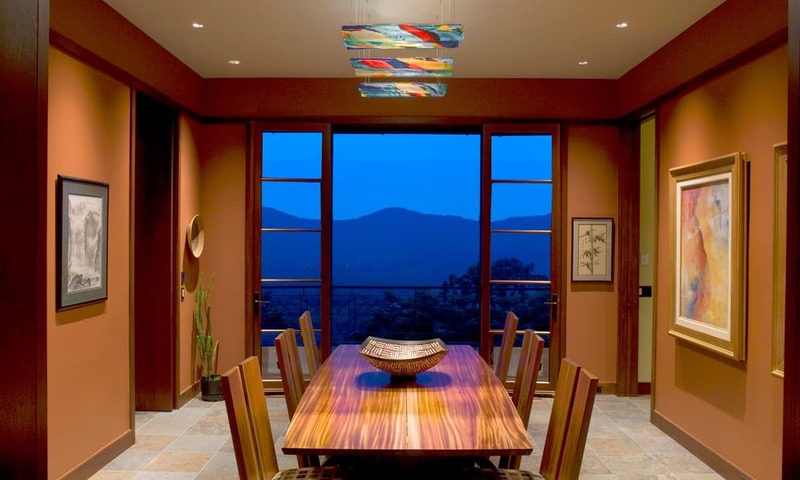 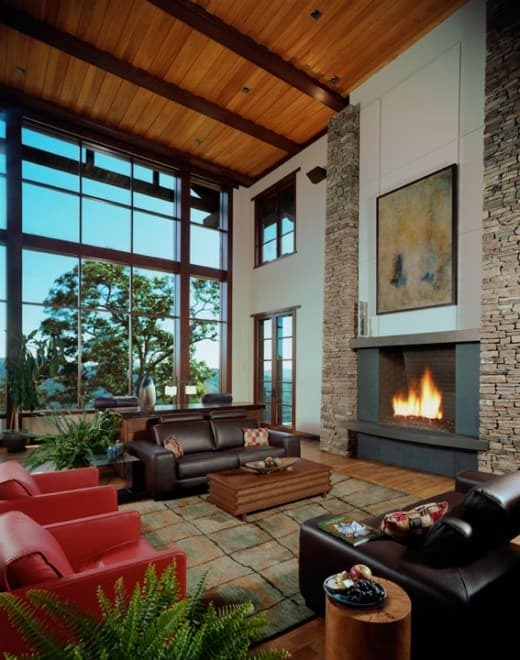 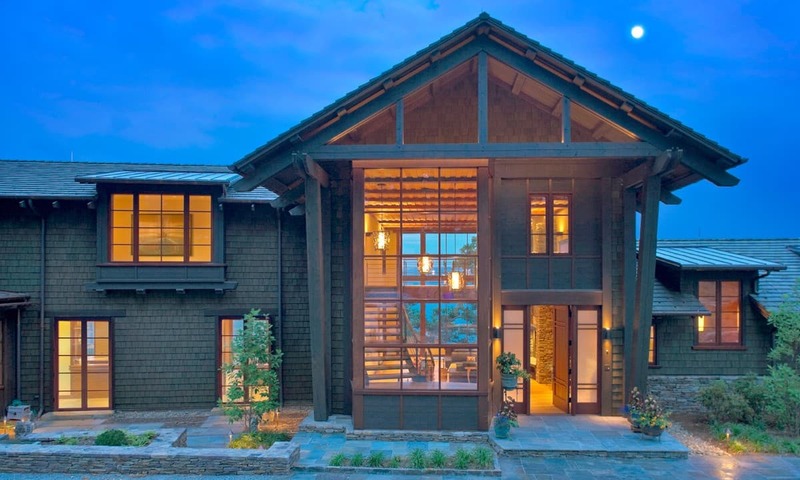 This custom north Asheville residence is a unique interpretation of new mountain architecture with an Asian influence. 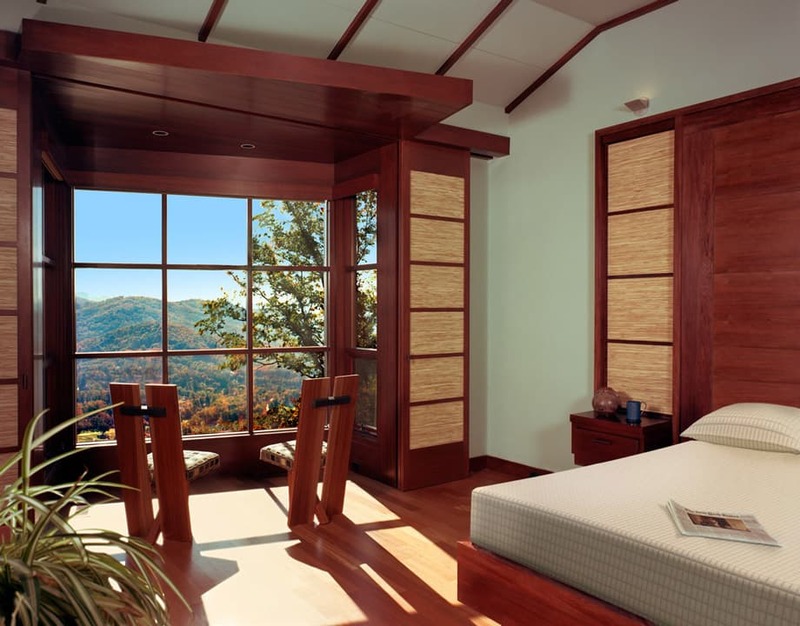 Spectacular views of the Blue Ridge Mountains and Downtown Asheville are enjoyed from many rooms. 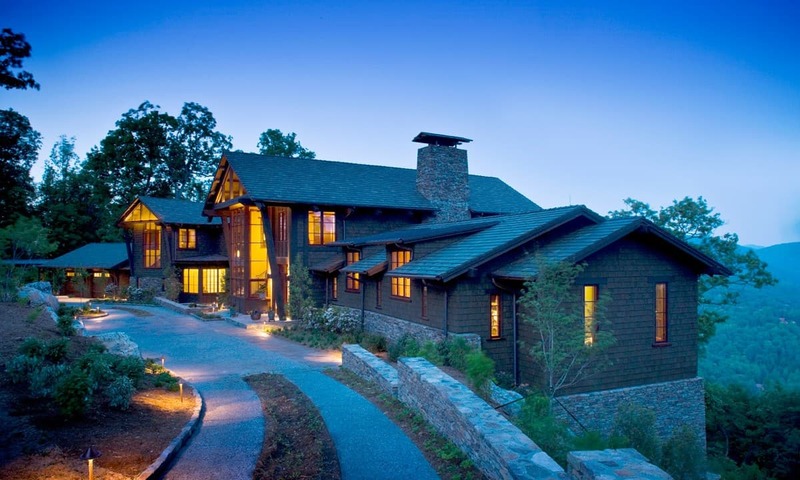 Thoughtful attention was given to materials, color selection and landscaping to ensure the home seamlessly integrates with its natural surroundings. 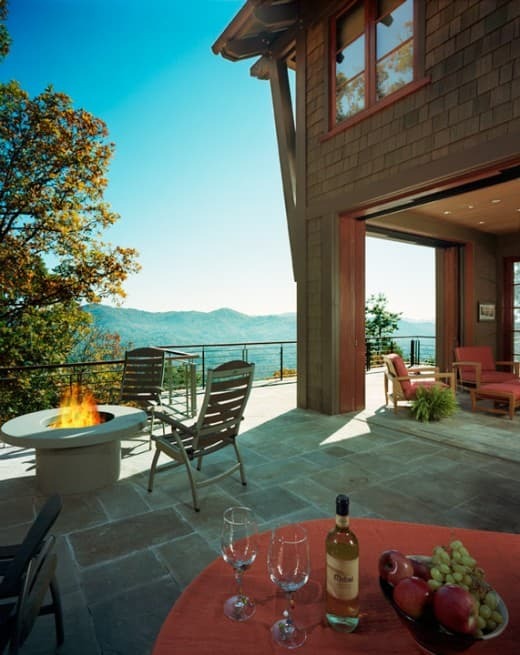 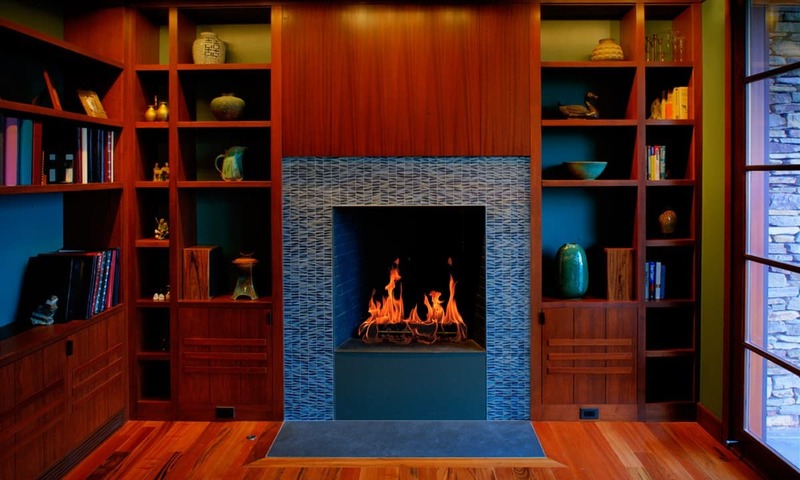 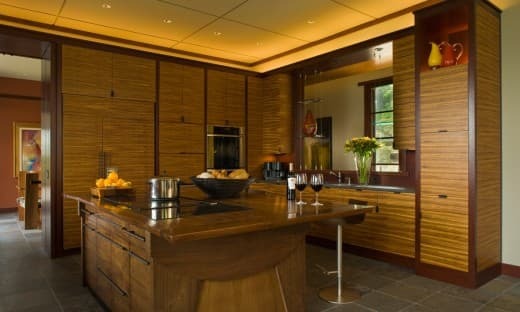 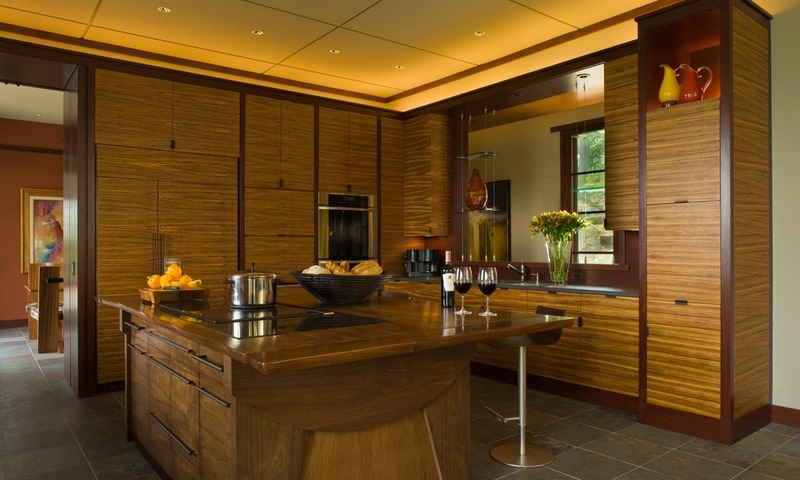 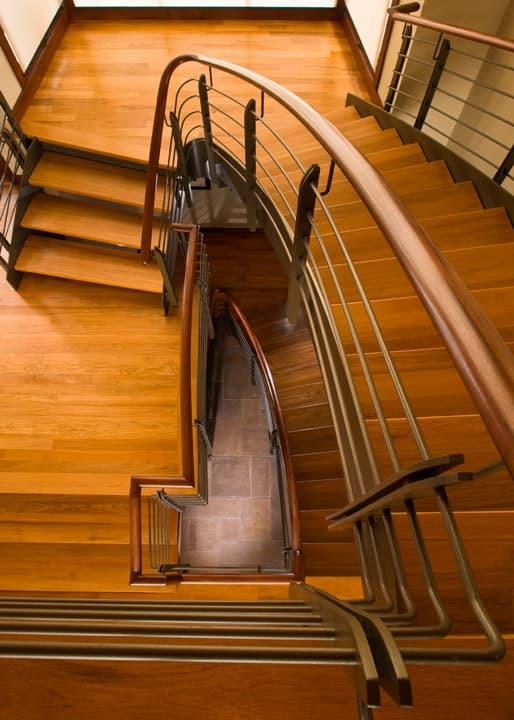 The home showcases custom millwork, cabinetry, and furnishings by Asheville artists and craftspeople.